South Africa’s leading accounting service providers. Specialising in a variety of accounting and taxation services, Atlantic Accounting features among South Africa’s leading accounting service providers. 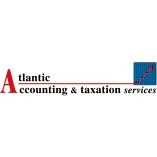 Registered with SAIPA, Atlantic Accounting can assist clients with the preparation of annual... financial statements, the completion of tax returns, tax advice and tax strategy, an accounting and bookkeeping function, payroll preparation and other notable accounting applications.